Egypt has expressed reservations on the Organization of Islamic Cooperation’s (OIC) draft resolution to list the Gulen movement as a terrorist organisation, an official in the Islamic organisation said. Turkey’s President Recep Tayyip Erdoğan alleged that conspirators loyal to U.S.-based cleric Fethullah Gulen, previously designated by Turkey as a terrorist movement, were behind the failed coup attempt on July 15. The OIC member states unanimously agreed on the text of the draft resolution, except for Egypt, who expressed their reservations, citing legal reasons. The OIC official told Aswat Masriya that Egypt’s representative requested more time in order to consult with Egyptian authorities and discuss legal procedures involved in the draft resolution, which he described as a “surprise”. Discussions took place during the preparatory meeting of foreign ministers of OIC member-state in Jeddah, Saudi Arabia. The meeting is held in preparation for the 43rd OIC Council of Foreign Ministers session, scheduled to be held in the Uzbek capital, Tashkent, in October. Earlier this month, Egypt was accused of blocking a United Nations Security Council resolution condemning the attempted coup in Turkey, Reuters reported. Egypt’s ministry of foreign affairs however denied the reports, saying Egypt had only proposed a minor amendment. Turkey’s foreign ministry spokesperson Tanju Bilgiç said that Egypt’s objection to the resolution was “natural”, Anadolu Agency reported . 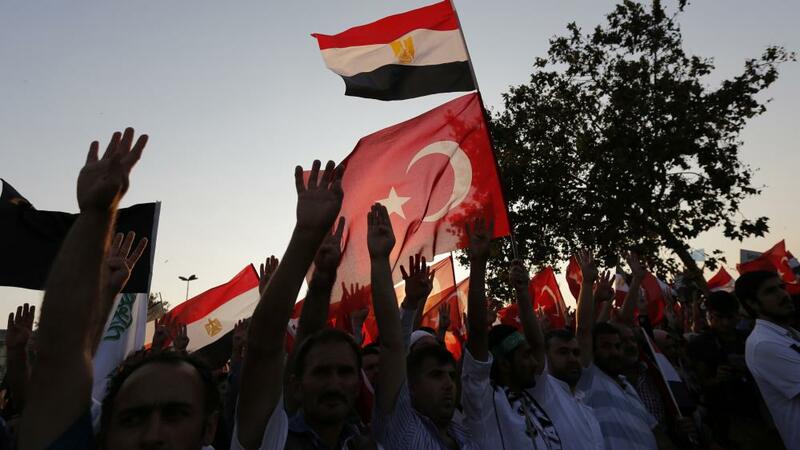 Egyptian ties with Turkey have deteriorated following the army’s ouster of former president Mohamed Morsi in July 2013, which followed mass protests against his rule.